Unfortunately, not all homes were constructed with proper drainage. Many homes or commercial buildings were built in low grade areas, flood plains, or adjacent to natural bodies of water which may adversely affect the structure's surrounding water table during intense periods of rain. 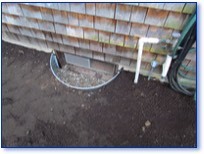 Additionally, underground springs and poor drainage from other nearby structures can all lead to ineffective property drainage which can then lead to water infiltration into your home or structure. 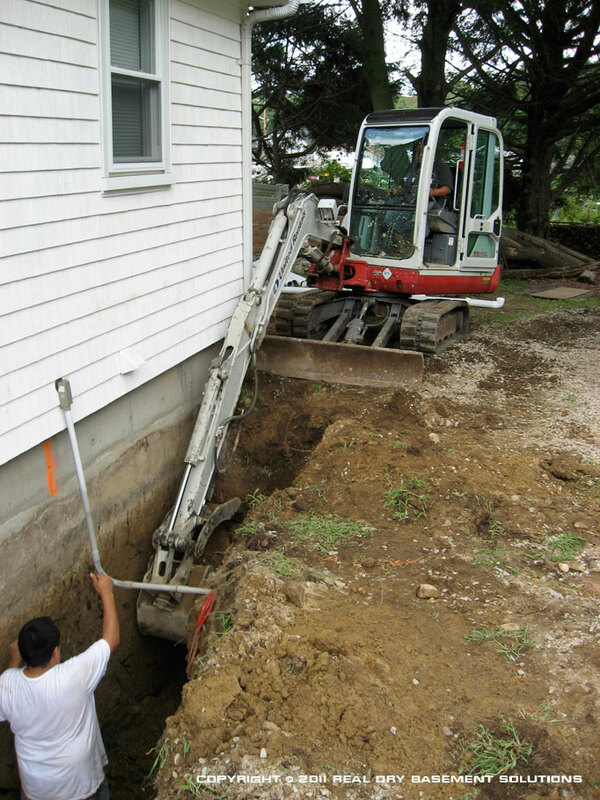 Current building codes are often inadequate when it comes to implementing drainage systems that will handle the storms and weather challenges we now experience. 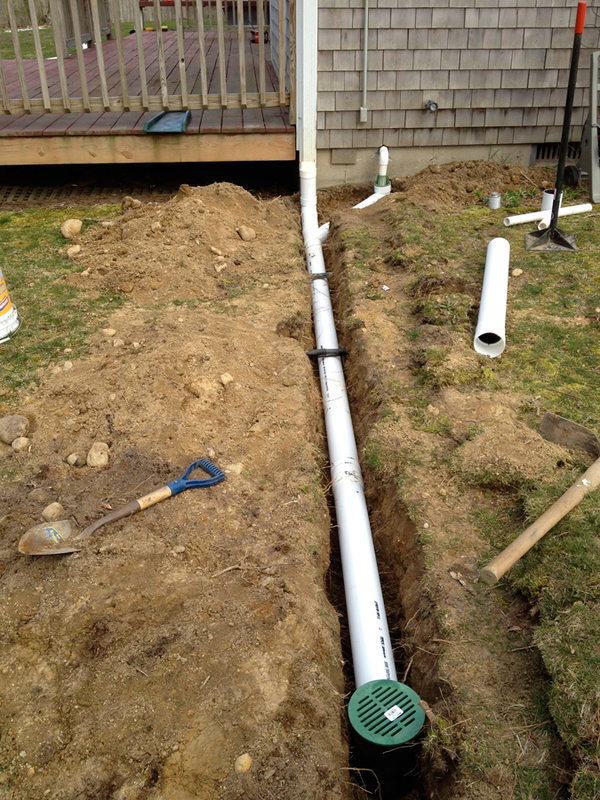 Real Dry Waterproofing provides exterior drainage solutions throughout Massachusetts, western Mass., Boston, the South Shore, Cape Cod, northern Connecticut, southern New Hampshire and Rhode Island to solve the water infiltration problems in your home or business. 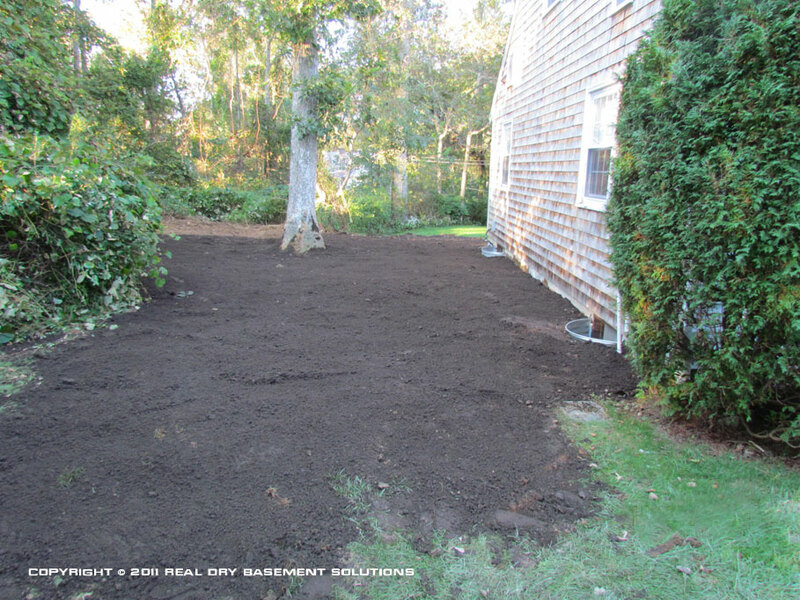 Real Dry employs multiple solutions to keep your basement dry and move water away from your home (left & center). 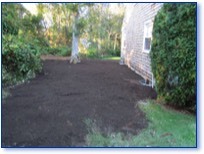 We can even return your yard to its former glory upon completion (right). Click any photo to see a larger version. 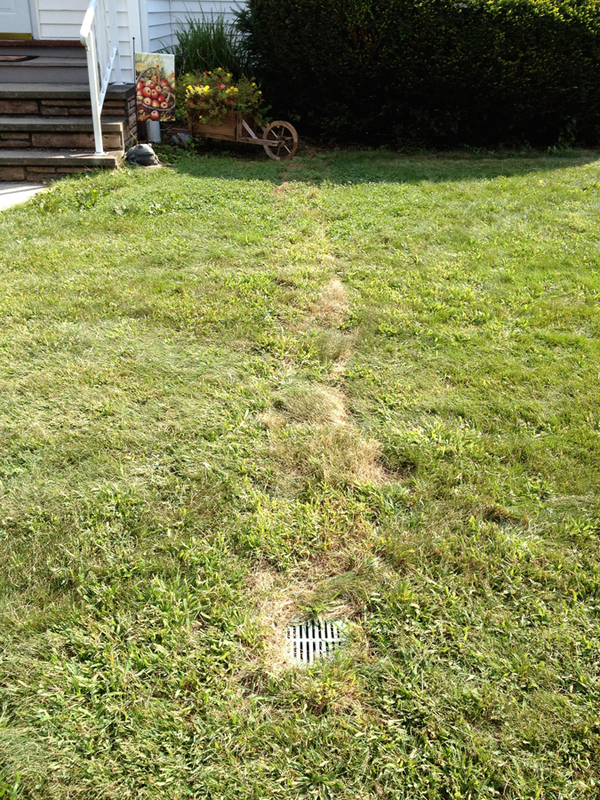 Real Dry can analyze your situation and determine what type of drainage system will be most effective depending on your particular circumstances. 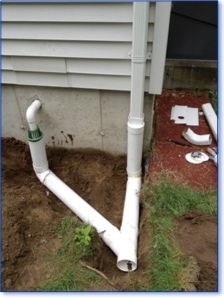 Oftentimes, exterior drainage systems utilizing a variety of techniques may be the best approach to solving water drainage problems. 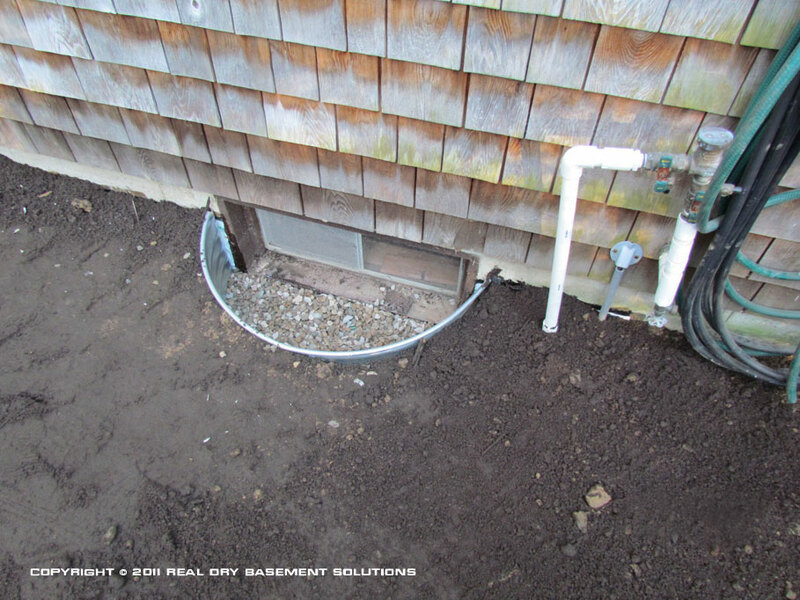 Real Dry specializes in roof runoff issues, window well drainage solutions, foundation seepage issues, property drainage solutions involving water infiltration from other properties, as well as improper property grading which can lead to increased pressure on your foundation and exterior structures. 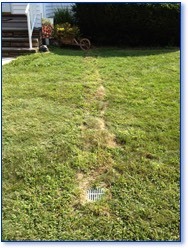 Allow Real Dry to provide you with an expert, FREE analysis regarding your drainage issues. 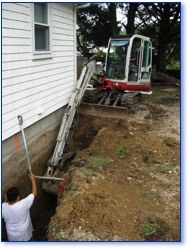 We have installed thousands of property drainage systems which have solved a variety of problems for building owners. 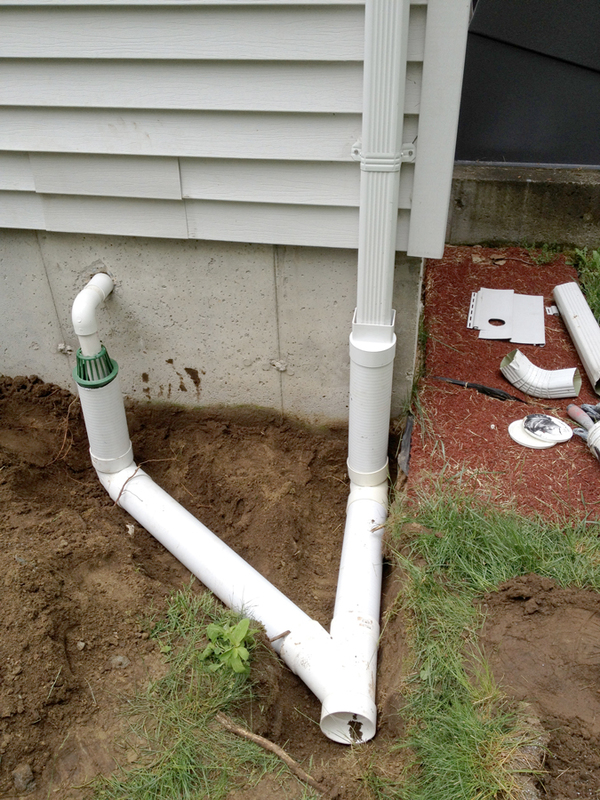 Allow us to install proper leaching wells, coordinate catch basin connections to completely remove all water from your property, or install passive street discharge basins to keep your yard and property dry. 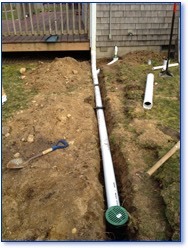 Real Dry provides exterior drainage solutions throughout MA, northern CT & RI, and southern NH. and one of the two Real Owners of Real Dry will come out and assess your drainage problem with you.